The Maibella Army Camp under the DAO Division organised a free medical check-up and assistance camp in Rohdoi Ali village under Charaideo district. The camp was attended by approximately 400 village people from 10 neighbouring villages. As per sources, free preliminary diagnosis of all the patients joining the medial camp was done and medicines were also distributed free of cost. The free medical camp has been appreciated by all the village folks since it was especially beneficial to women, children and underprivileged persons. 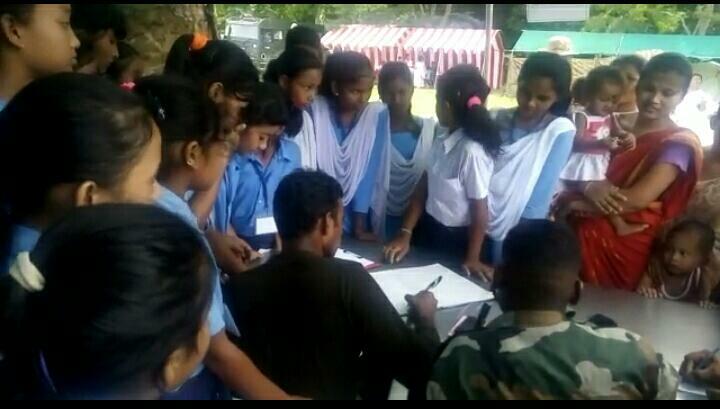 The villagers, who participated in the free medical camp organized by the Army, apart from their duty to provide security to the people of the country and take part in the anti-insurgency operations, also included a large number of school students, mostly girl students. The public appreciated the yeoman efforts of the Army and requested that such camps should be held more frequently. 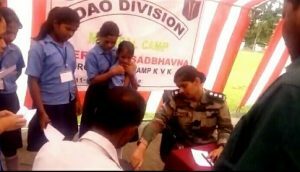 The Army conducted the medical camp as part of its ‘winning of heart and mind campaign’.